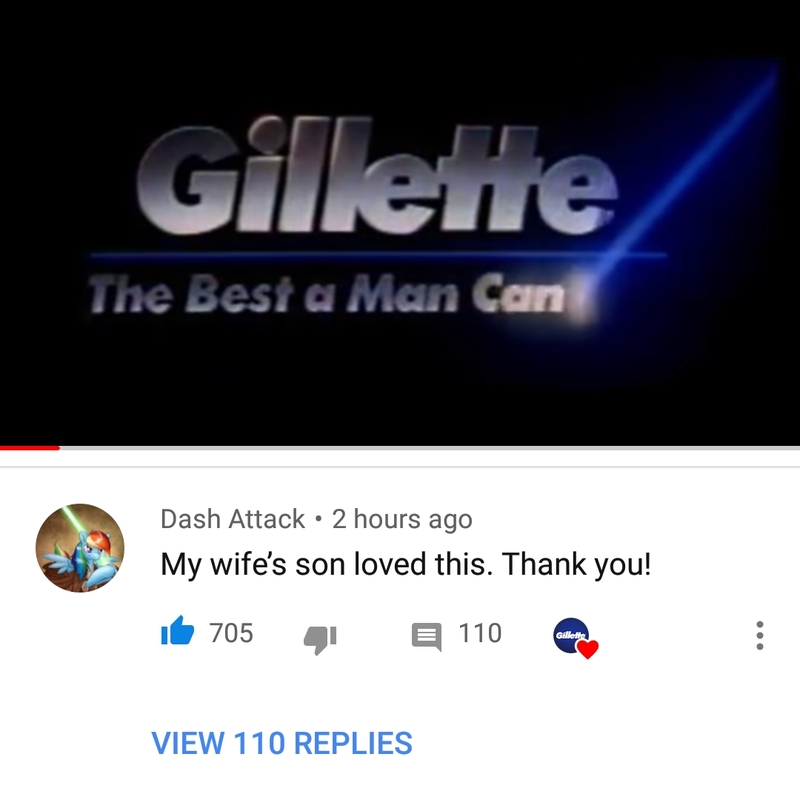 Gillette's new ad bashing "toxic masculinity" is crashing and burning. 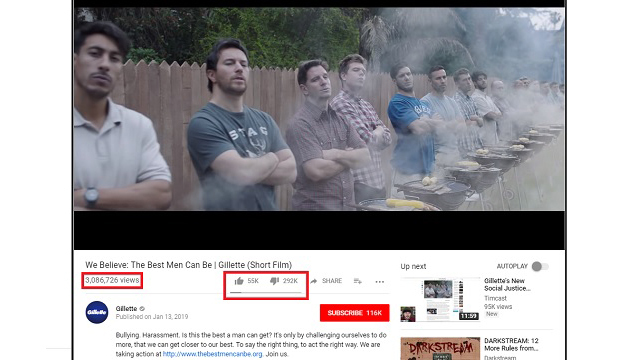 As of Tuesday morning, the ad had over 3 million views with 292,000 downvotes versus around 55,000 upvotes. 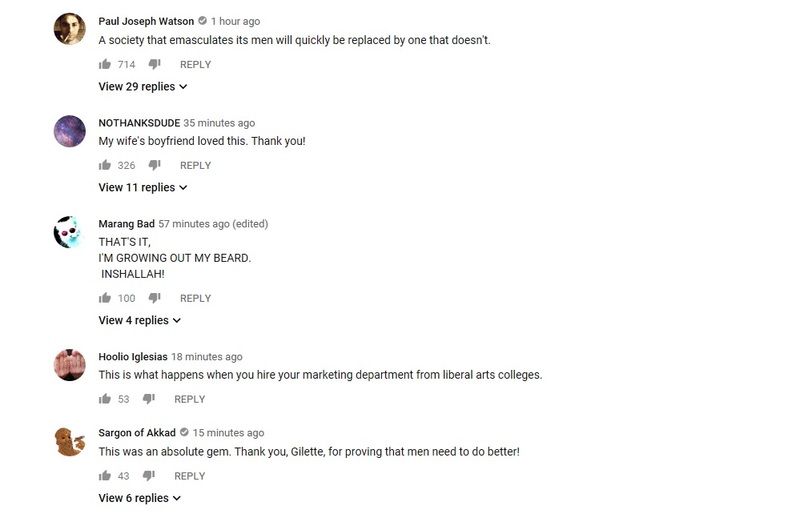 A Trump supporter shared this analysis of the commercial on r/The_Donald: "Gillette commercial: 43 males exhibit 'undesirable' behavior, 42 white, 1 black. 7 males exhibit 'desirable' behavior, 5 black, 2 white? This is misandry no matter the race but my god can a super light skin brother catch a break? First one blamed, last one considered. Every time." 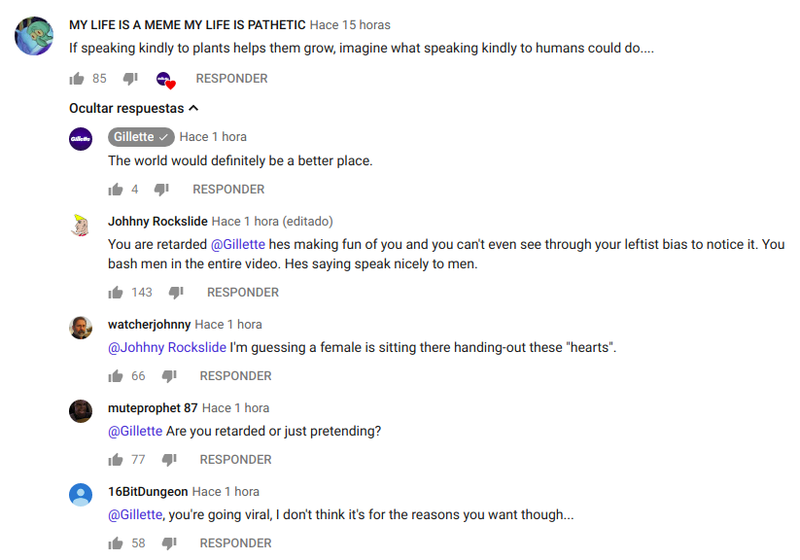 The comments on YouTube are almost uniformly negative and people say they're getting deleted at a rapid pace. The producer, Rob Bliss, responded to the controversy by saying, as Slate reported: "'We got a fair amount of white guys, but for whatever reason, a lot of what they said was in passing, or off camera,' or was ruined by a siren or other noise." No doubt. 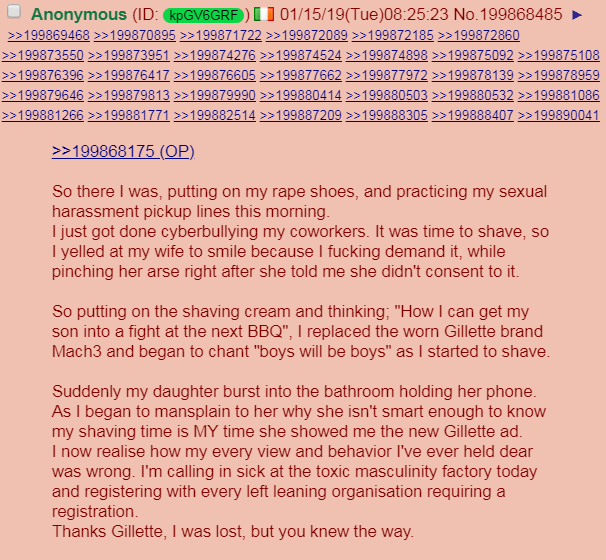 This Gillette ad was just reflecting that unseen epidemic! While attacking your target demographic with propaganda is not the best business move, these megacorporations have shown for years now they care more about pushing the agenda than maximizing profits. UPDATE: The ad is working!